We Roam co-founder Sean Harvey encapsulated the Millennial mentality with these few words, “A lot of us would sacrifice money for experiences.” It is this mentality which propelled him to launch his business which he describes as, in its simplest form, a logistics company for young professionals who want to keep their careers on track while seeing the world. The company just took off at the beginning of the year, but is quickly expanding. We Roam will now collaborate with Selina, a Central and South America based co-working and accommodation business, to take 50,000 remote workers abroad over the next five years. The partnership was announced during the 2017 World Youth and Student Travel Conference (WYSTC) in Montréal. 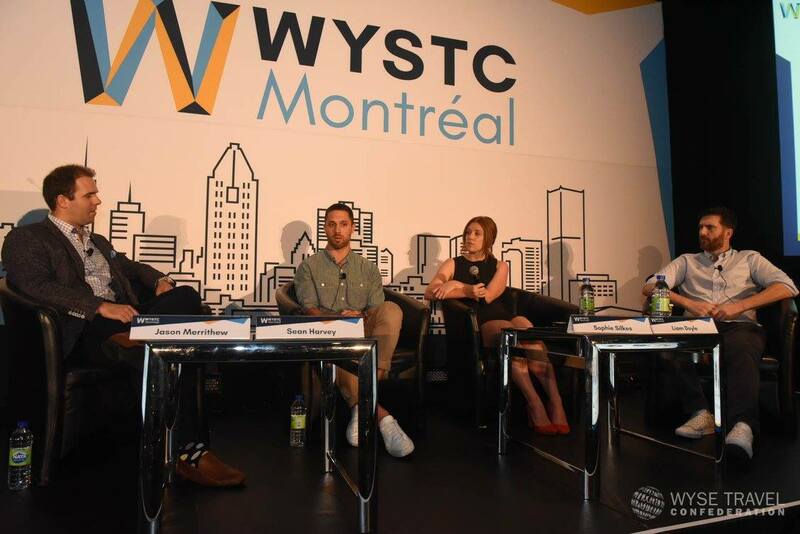 Sean Harvey and Selina COO Liam Doyle participated Wednesday in a WYSTC panel discussion: Destination Everyday – the rise of digital nomadism and the co-working space. 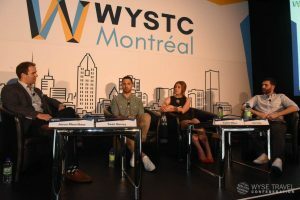 They, along with Sophie Silkes of Montreal’s Crew Collective Cafe addressed the successes, challenges, and questions in the emerging remote working industry. Each of them operates within a very different business model, but all agreed on one basic concept for co-working spaces: Ecosystem. “It is like the being on a university campus where you meet so many new people and you’re exposed to new ideas and perspectives. We build the platform for that to happen in a co-working space. The ecosystem is created when people come in and form communities which grow and nurture each other,” Doyle explained. The three panelists agreed – co-working is not as much about the desk space as it is about the working environment. “It is rapidly becoming a benefit to offer employees,” said Silkes. “People want to work where they feel comfortable and inspired. People assume everyone [at Crew Collective] is really young and in a start-up, but actually we get older professionals and even government workers.” At least 15 companies are headquartered at Crew Collective, according to Silkes. 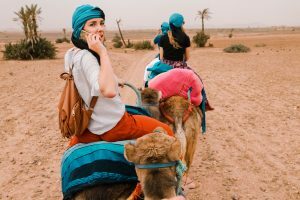 An increasing number of companies, both large and small, have realised that remote working possibilities are an attractive offering for recruiting and retaining Millennial talent. However, opening a co-working space isn’t the easy road for success. Doyle advised that only 25% of co-working spaces are currently profitable. He and Silkes agreed that diversification is key. Crew Collective offers a high-end cafe, meeting room space, and even a wedding venue. From the audience, Gal Mor of Abraham Hostels asked the panelists if the Selina model, a combination of work space and accommodation, is the future of the remote work industry. According to the panelists, accommodation is a major driver for the remote work market. Harvey said he has eyed Central America as a We Roam destination, but lack of appropriate infrastructure for both working and sleeping has been preventative. Now, We Roam will bring a group in 2018 to Selina’s newest property in Medellin.